Limestone cobble shore occurs along the northern Lake Michigan and Lake Huron shorelines. The community is typically sparsely vegetated, because cobbles cover most of the surface and storm waves prevent the development of a diverse, persistent plant community. In Presque Isle and Alpena counties in northern Lower Michigan, the marine deposits are Devonian-age limestones, which were also formed in shallow seas. Cobble shores often occur interspersed with limestone pavement and adjacent to coastal fen, Great Lakes marsh, boreal forest, limestone bedrock glade, and alvar grassland. 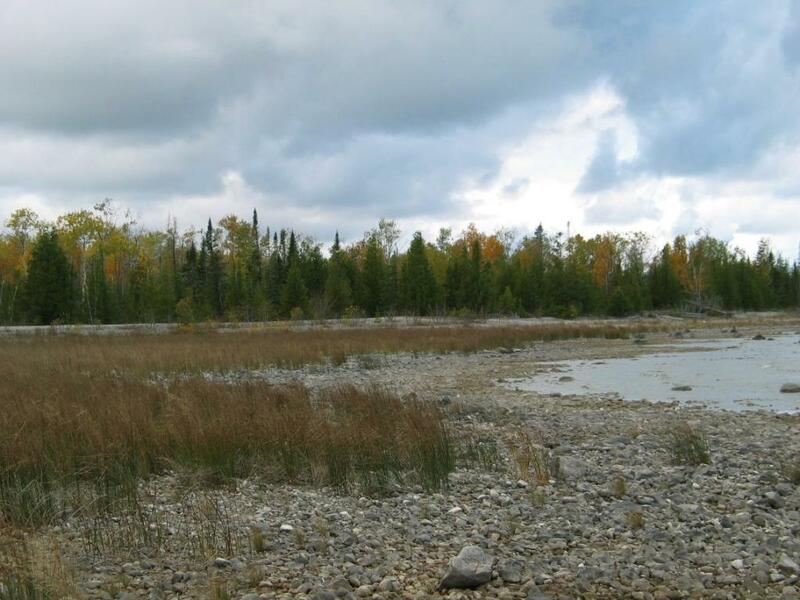 - Michigan Natural Features Inventory.